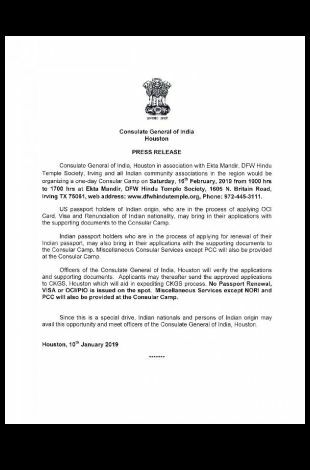 Please note Consulate General of lndia, Houston One Day Consular Camp occurred in past. US passport holders of lndian origin, who are in the process of applying OC! the supporting documents to the Consular Camp. 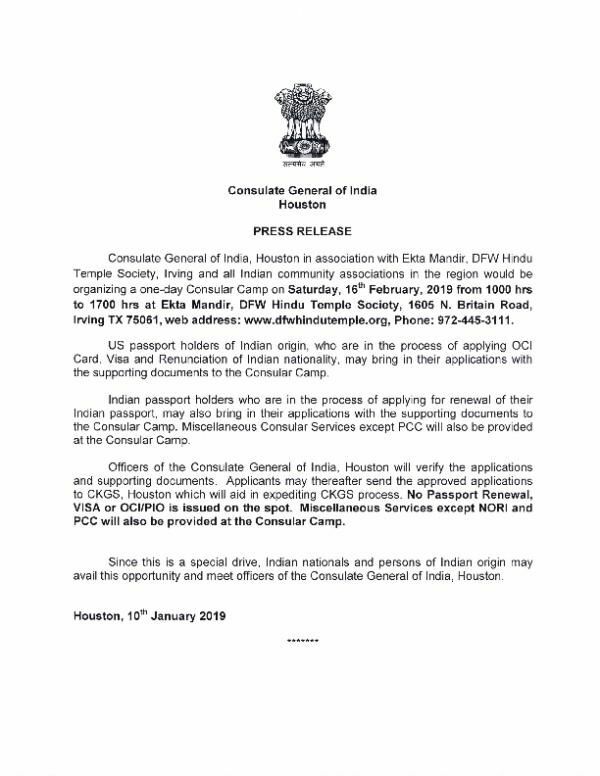 PGC will also be provided at the Consular Camp. 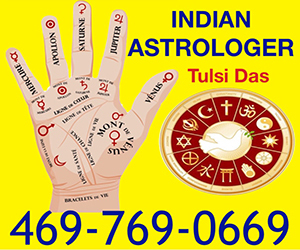 avail this opportunity and meet officers of the Consulate General of lndia, Houston.